The front entry is the most important feature of your house, especially if you are trying to sell it. 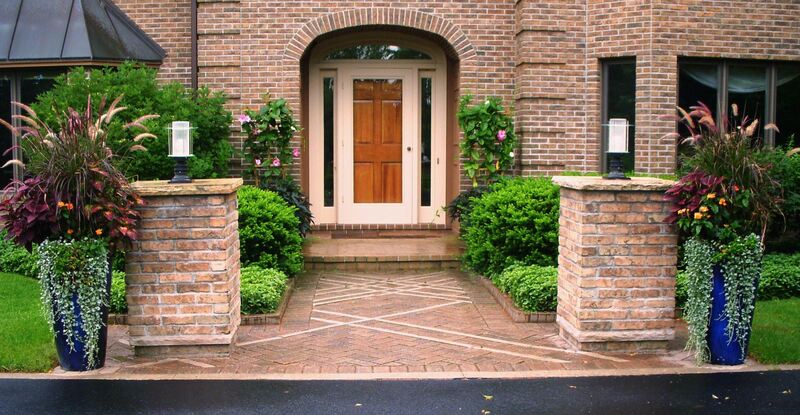 A well designed and maintained front entry can raise your real estate value up to 20%. It should give a good first impression, easily lead visitors to the entrance to your home, and compliment your house. 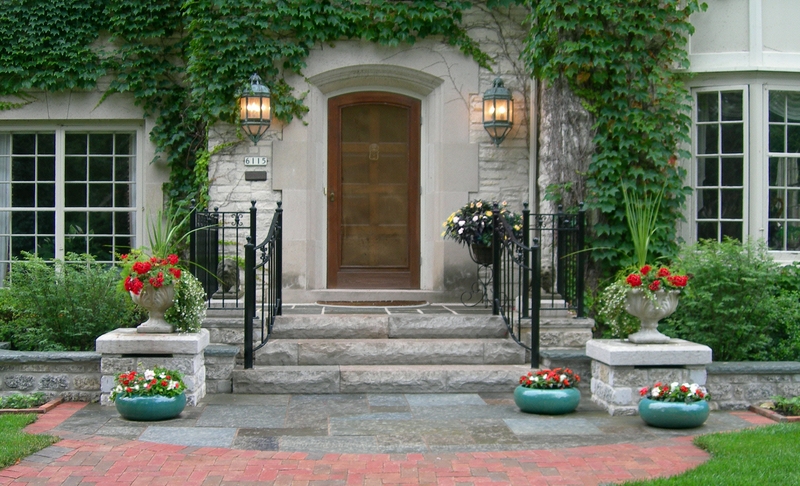 Here are some other tips to create fabulous front entries. – Use retaining walls and terrace them when there is a slope present. – Create a larger landing area at the entrance for people to congregate. Sitting areas can be incorporated in front entryways. – Walkways should be 4 feet or wider and flare at the driveway and stoop. They should be a direct, non-confusing path from the driveway to the front door. 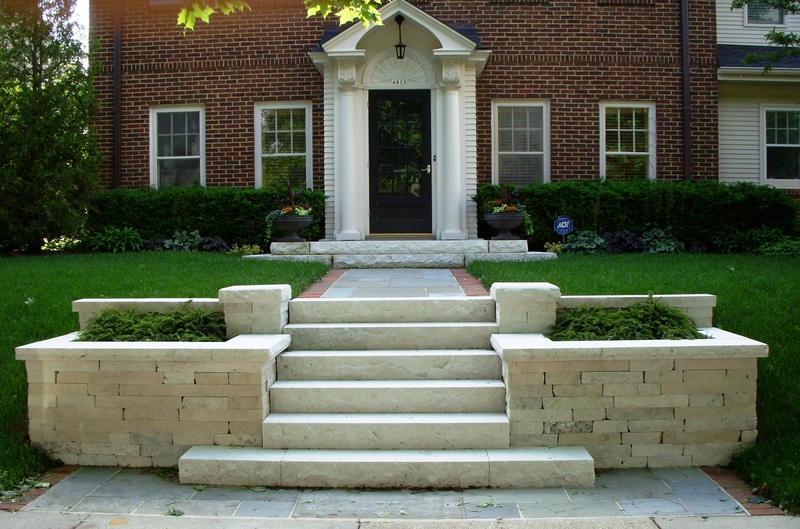 – Masonry columns can frame an entryway or act as a focal point. – Use the colors of the hardscape to compliment the colors of the brick, siding, or shingles of the house. – Plants can be focal points from inside and outside your house; they should frame the house and focus attention to the entrance. – Plant in masses, but don’t overdue it. Keep it simple. – Install plants to provide shade and privacy, repeating colors, shapes and textures. – Place containers with flowers or a specimen plant to help focalize or frame the entrance. – The design of a front entryway should be in balance and in scale with the house. It should compliment the house by taking forms from the house, like arches and window shapes, and repeating those shapes in the landscape. – Low voltage landscape lighting provides safety, helps lead to the entrance of the home and highlights focal points. – Painting the front door a contrasting color that compliments the house helps draw the eye toward the entrance. Use retaining walls and terrace them with plantings when there is a slope present. Use focal points, like this Ginkgo tree, to draw the eye to the front entrance. Pull architectural shapes from the house and incorporate them into the lanscape. 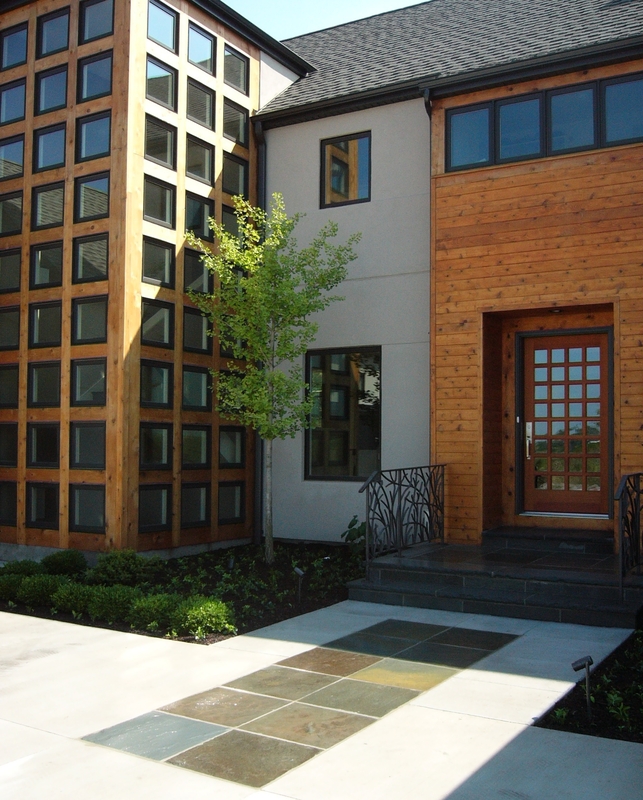 In this picture, the square Bluestone mimic the shape of the windows.